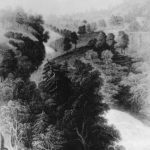 The Cherokees were the first known residents of the area now known as Tallulah Falls and, around 1670, the first white men settled in the area. 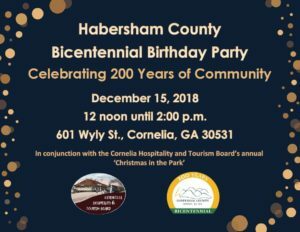 The town prospered as a Victorian-era resort town in the early 19th century as five founding fathers of the Tallulah Falls Railroad – Col. Rufus Lafayette Moss, Sr., Thomas Robinson, William Berry, J.M. 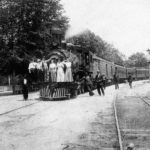 Cartledge and William Young – brought the railroad to the mountains in 1882. This made the area accessible to visitors from Atlanta and South Georgia. 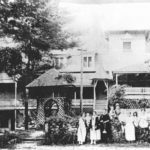 The town was incorporated Oct. 7, 1885, and at the peak of the Victorian era, there were 17 hotels and boarding houses in the area. A dam across Tallulah River was completed in 1913 by the Georgia Railway and Power Company and electricity was sent to Atlanta from the dam in Tallulah Falls. That dam, along with five others built on the Tallulah River continue to produce electricity for the area today. 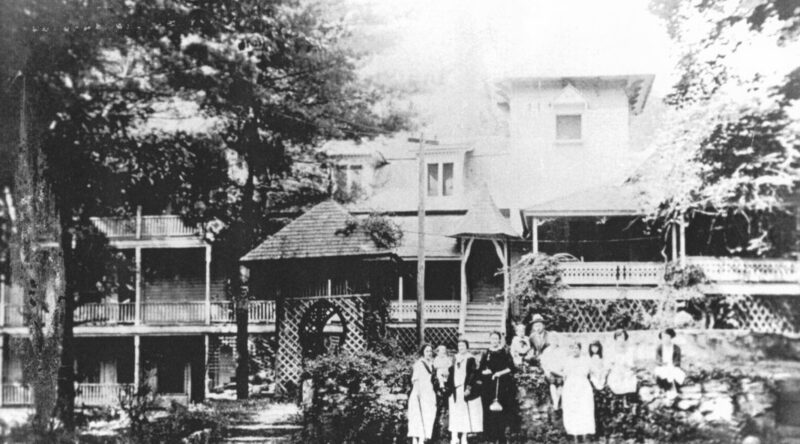 Tragically, in December 1921, a fire burned in Tallulah Falls for several days, destroying stores, hotels and many homes. Tallulah Falls rebuilt, however, by then, the railroad had expanded further into the Blue Ridge Mountains and the town lost its status as THE vacation destination for the Atlanta wealthy. The Tallulah River Gorge, created by the Tallulah River, contains five breathtaking waterfalls and has been referred to as the Niagara of the South, the Grand Canyon of the East, and the largest gorge east of the Mississippi. Tallulah Gorge State Park was established in 1993 to preserve and maintain 2689 acres surrounding the gorge. The gorge measures 2 miles long and 1000 feet deep. Karl Wallenda, a high-wire artist, walked over the gorge July 18, 1970. The State Park offers campgrounds, hiking trails, a suspension bridge, interpretive center and gift shop for visitors to continue to enjoy the outdoor splendor of the area. Tallulah Falls is home to Tallulah Falls School, (a private boarding school established in 1909), Athens Y Camp, a Christian summer camp and retreat center for boys established in 1898 and its sister camp, Camp Chattooga for girls, established in 1933. Saturday evenings, April – October, live bluegrass bands gather in downtown Tallulah Falls to entertain the public. For more information on the history of Tallulah Falls, watch the June 2018 episode of The Front Porch with Bobby Watson with former Mayor Dan Hayes sharing information on founding father Col. Rufus Lafayette Moss, Sr.
Information on Col. Rufus L. Moss Sr.